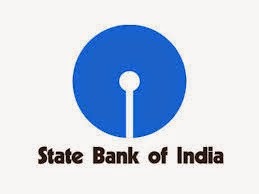 All the bank job aspirants who had applied for the SBI Clerk Recruitment might be a nightmare as a bank job aspirant has filed a suit in the Madras High Court pleading for a cancellation of SBI Clerk Recruitment 2016. S. Gurukrishna Gokul has filed a PIL on 25th May demanding the elimination of one of the eligibility norms. However, one has to wait for the order of the court whether the court orders to issue a new notification or otherwise. The State Bank of India is a Public Sector and Financial Services Company which recruit suitable candidates for various posts every year. The bank will notify the candidates regarding the posts and invite them for the recruitment process. Earlier, the SBI has issued as notification for the recruitment of Clerk posts to fill up 17140 posts. The bank job aspirants have applied for the posts in the huge number. However, an aspirant named S. Gurukrishna Gokul has filed a Public Interest Litigation on 25th May demanding the elimination of one of the eligibility norms. However, one has to wait for the court order whether it will cancel the recruitment or will it order to issue a new notification for the recruitment. We advise all the aspirants keep doing your hard work and wait till official notification.